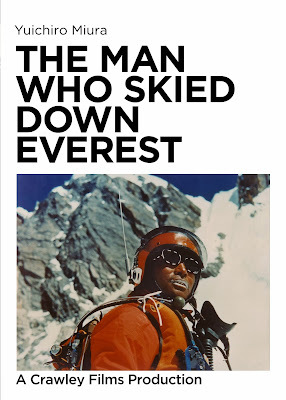 The Man Who Skied Down Everest, produced by Ottawa's own Crawley Films, is a monumental movie in more ways than one. Founded by Budge Crawley in the late 1940's, Crawley Films grew into Canada's largest independent film studio, and even rivaled the NFB for cinematic output. It produced everything from Canada's second animated feature film (Return to Oz) in 1962, to industrial films, tv commercials, feature films and documentaries. Based in Ottawa/Gatineau, with a studio in Old Chelsea and a branch office in Toronto, it produced over 5000 films and won numerous awards over its 43 year history, including the Academy Award for Best Feature Length Documentary in 1976 for The Man Who Skied Down Everest (the first Academy Award ever won by a Candian feature film). This film follows Japanese adventurer Yuichiro Miura as he attempts to sky down the tallest mountain in the world. Very popular with both audiences and critics of the time, this is a film that deserves being seen on the big screen. Ottawa director Frank Cole created an epic existential documentary with Life Without Death, a personal tale of survival set in one of the harshest environments imaginable – the elemental and unforgiving landscape of the Sahara Desert. 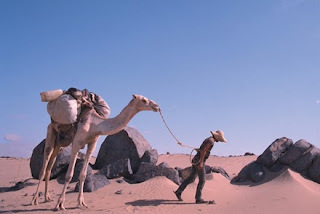 By attempting to become the first person to cross the Sahara on foot, Cole presaged the popular reality-based tv shows like Man Vs. Wild and Survivor Man, but it's closer to Lawrence of Arabia than anything comparable on reality TV. This film has gained a devoted cult following with good reason. Cole's chronicle of his struggle against the desert at the limits of human endurance is mesmerizing in its intensity and stunning in its stark and poetic visual-composition. In it, Frank Cole manages to confront the most basic realities of human existence in a herculean test of fortitude and will. This is a documentary that stays with you long after you have seen it. For more on the films read John Yemen's preview here.